• Documents which were revealed and discussed at the press conference can be found here. 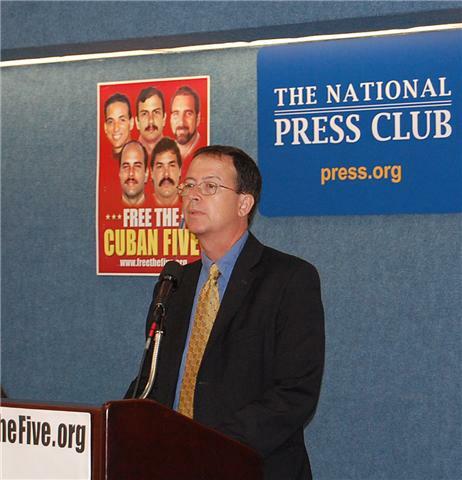 A press conference held June 2, 2010 at the National Press Club in Washington, D.C., attended by a variety of national and international media, revealed new evidence uncovered by the National Committee to Free the Cuban Five that the U.S. Government has covertly paid tens of thousands of dollars to Miami journalists working for major media outlets who, during the federal government's politically-charged Miami prosecution, published often incendiary stories about Cuba and the five Cubans. The men, known as the "Cuban Five," are serving sentences varying from 15 years to double life, after being convicted of charges including espionage conspiracy. The press conference revealed names of journalists, payment amounts, and will have available notebooks highlighting articles and propaganda by supposedly-independent journalists who were covertly on the payroll of the U.S. government. Speaking at the press conference were attorneys with the Partnership for Civil Justice Fund (PCJF) that have filed a federal lawsuit on behalf of the National Committee. The litigation filed by the PCJF asserts that the BBG and its Office of Cuba Broadcasting are withholding information that will show that they have engaged in activities in violation of federal law, specifically the Smith-Mundt Act, which prohibits the BBG from seeking to propagandize the U.S. public, and may be continuing to do so. 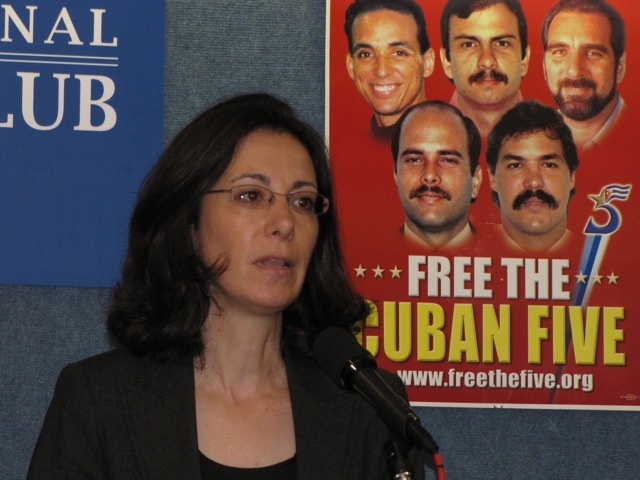 The press conference announced that a coalition of organizations is initiating a nationwide campaign that will call on U.S. Attorney General Eric Holder to take immediate action to provide remedy and relief to the Cuban Five based on the U.S. government's misconduct and covert operations which deprived the Five of their fundamental right to a fair trial. Click here to send your own letter to Eric Holder demanding justice for the Five, and click here so that you or your organization can be listed as part of the coalition calling on Holder to free the Five. 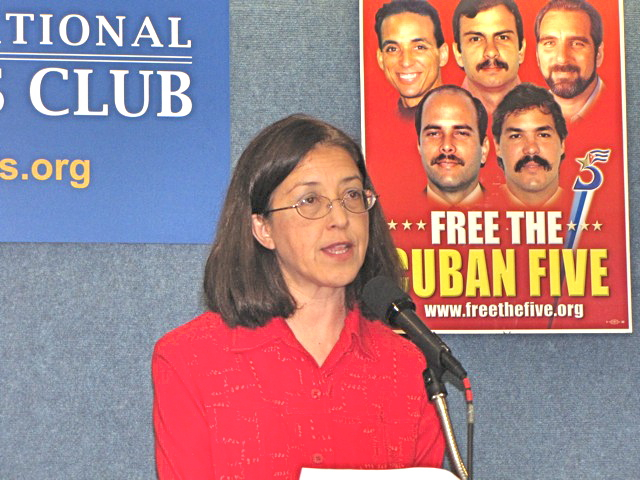 Gloria La Riva, coordinator of the Cuban Five committee who will speak at the press conference, said, "Many of the articles and commentaries by the government-paid journalists were highly prejudicial and biased, with the obvious aim of negatively influencing the Miami public and the jury pool, convicting the Cuban Five, and depriving them of the fundamental right to a fair trial." In January 2009, the National Committee issued a Freedom of Information Act (FOIA) request to the Broadcasting Board of Governors (BBG) seeking information on U.S. government payments to supposedly independent journalists. Key information initially released by the BBG to the Committee made clear that the amount of covert government payments to journalists is substantial - however the agency is refusing to hand over critical underlying documents to the National Committee and is fighting to keep this information from becoming subject to public scrutiny. 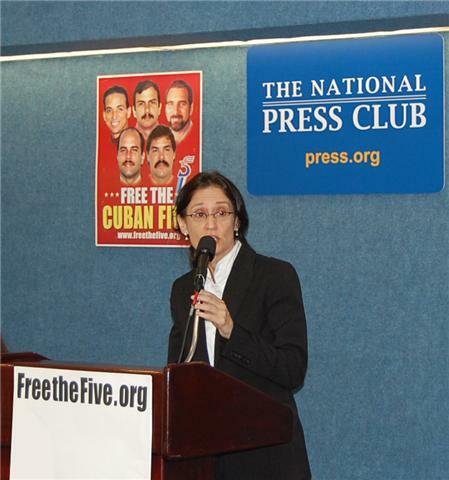 According to the lawsuit filed by the PCJF attorneys Mara Verheyden-Hilliard and Carl Messineo, on behalf of the Cuban Five committee, "The public has an immediate right to know about matters involving improper domestic propaganda as well as whether the U.S. Government compromised the fundamental right to a fair trial of the Cuban Five. These journalists engaged in repeated publications of purportedly independent articles. The articles include many that were highly incendiary, included false information and poisoned domestic public opinion during the prosecution, trial and conviction of the Cuban Five." Demand justice for the Cuban Five! Click here to have yourself or your organization listed as part of the coalition.